Social media giant Facebook on Thursday announced that a critical bug exposed private posts of 14 million of its platform users to the public. Facebook users have the option to choose whether to make their posts public or not, decide who sees their posts and who doesn't. However, the bug made the private posts of 14 million Facebook users visible to the public. 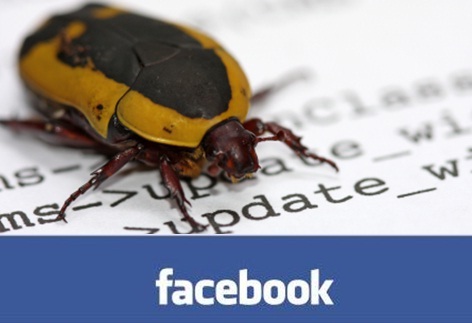 According to a statement from Facebook's chief privacy officer, Erin Egan, "We recently found a bug that automatically suggested posting publicly when some people were creating their Facebook posts." Facebook explained that the bug occurred while they were working on a new way to share centre user's profile elements, such as photos. Though the bug affected the network between May 18th to 27, the social media giant was able to fix the error on May 22nd. "We have fixed this issue and starting today (Thursday) we are letting everyone affected know and asking them to review any posts they made during that time," Egan said. "To be clear, this bug did not impact anything people had posted before, and they could still choose their audience just as they always have. We'd like to apologize for this mistake." Facebook has been trying to recover from its recent Cambridfge Analytica scandal in which millions of users private data were sold to the data firm who then misused it. Several privacy-related controversies have been surrounding the company both in past and the present. Recently, the social media giant was accused of sharing user's personal data with over 60 smartphone manufacturers.